Can you believe how vivid this color is?! Finally, a temporary, colorful dye made with dark natural hair in mind! 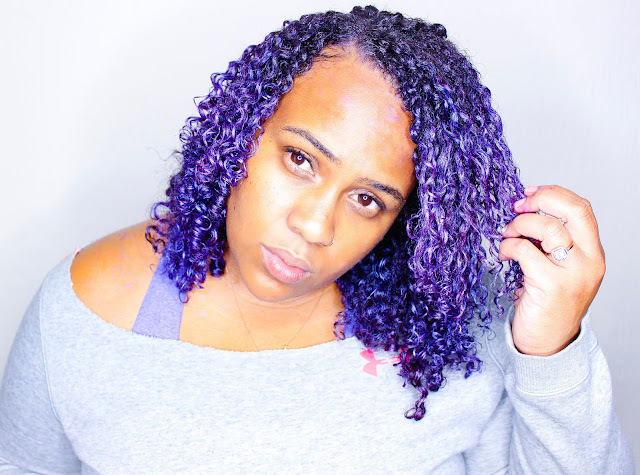 Back in June, I posted about temporary hair color spray on Instagram as a way to switch things up without actually damaging my natural curl pattern. A number of you guys lit up my DMs and comments talking about Pop! Curl Color - and for good reason! Pop! Curl Color is a plant-based temporary hair color gel designed to enhance definition while packing a colorful punch. 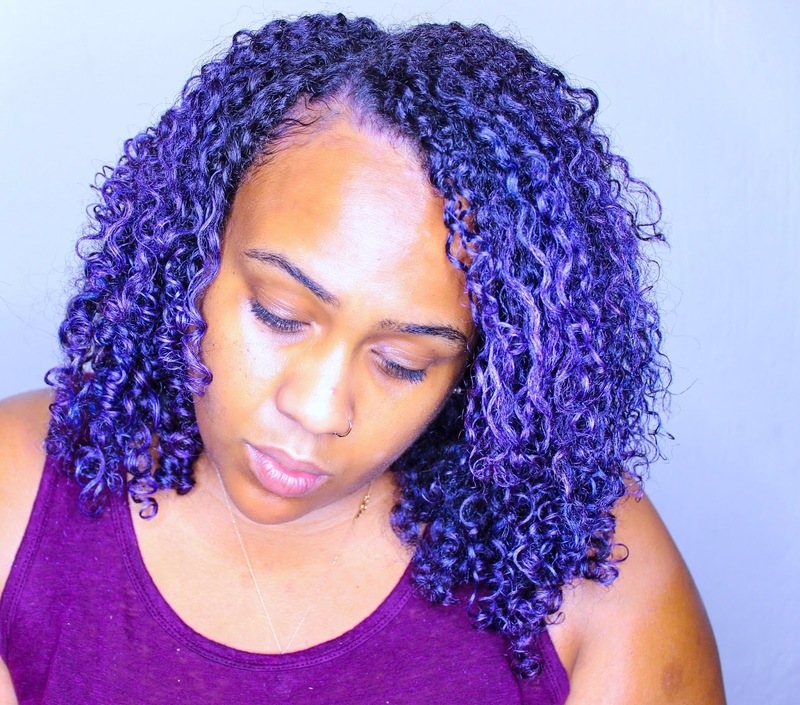 Best of all, it's 100% damage-free, washes out easily, and is the brainchild of none other than natural hair influencer Lianne aka @chronicurls! 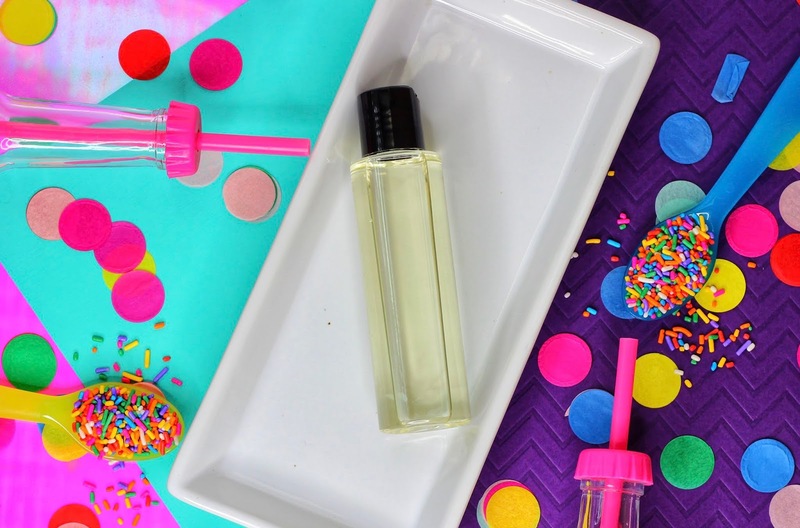 If you've been searching for a fun way to temporarily add a pop of color without bleach, dye, or damaging your natural hair, then Pop! Curl is 100% what you need! Let's dive into why. Midnight. Magenta Sunset. Purple Rain. Vegetable Glycerin: Plant-based humectant that draws moisture from the air. DL Panthenol: Vitamin B5, known for quick absorption into hair and providing moisture control. Wheat Germ Oil: Vitamin E and ceramide-rich oil extracted from the kernel of wheat. Fights free-radical damage while temporarily cimenting damaged cuticle layers. Yes! Pop! Curl Color gel contains no proteins. I believe so - the ingredient list is vegan/plant-based. OMG, literally EVERYTHING! Pop! Curl Color gel is quite honestly GORGEOUS. Super pigmented, brilliantly colored, and delightfully fragranced (without being overbearing). I love the care and thought that went into ingredient selection, as well as the fact that it can be used as a standalone curl definer or after-styling enhancer. The colors I used (Purple Rain, Midnight, and Magenta Sunset (I just made that color name up - Lianne was nice enough to send along a third color currently in development that's unnamed lol) showed up brilliantly in direct sunlight, on camera, and even indoors. Although under florescent/office-style lighting, the color is more subdued. Either way, I love the combination of colors and how brilliantly they show on dark hair, while playing nicely with whatever products I use! Most tutorials show Pop! Curl Color being used as the primary styler - I chose to go a different route. As you see in my demo video, my wash and go was already set before I started. I did this intentionally. I'm heavy-handed, and my hair requires a good amount of product to 'akrite'. I didn't want to use up all the Pop! Curl Color gel on 3/4 of my hair and be out here looking foolish. I love how lightweight and buildable Pop! Curl Color gel is. It's easy to use and glides effortlessly onto my curls - adding color in an instant. Even though I ended up doing gel-on-gel, Pop! Curl Color didn't make my hair more crunchy - it helped my curls become supple and full of life, which is low-key amazing. I can't think of a single bad thing about Pop! Curl Color. Lianne really did her homework and put out a stellar product that works. I thought for sure the pictures I saw were super filtered but nope! The color is truly that brilliant IRL. I know many of you are probably wondering about color transfer, rubbing off, and such. And because we're talking about a temporary color, that's going to happen to some degree. BUT - I will say the fallout is minimal. I wore my Pop! Color Curl hair to work down with a light blue hoodie and only saw a little bit of color about the collar. If fallout is your concern, just don't wear white. 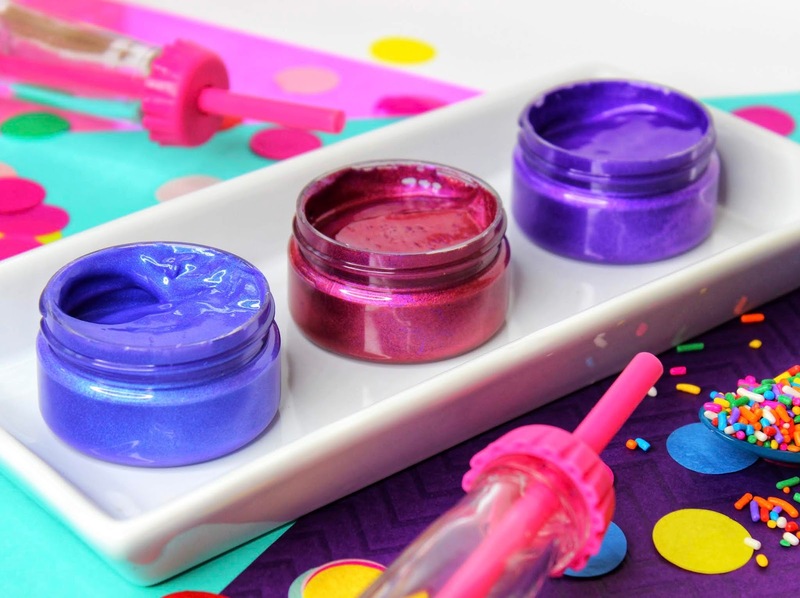 If you want to experiment with bright colors and no commitment, Pop! Curl Color is for you. If you want the thrill of rainbow, unicorn, and mermaid hair without the damage, Pop! Curl Color is for you. 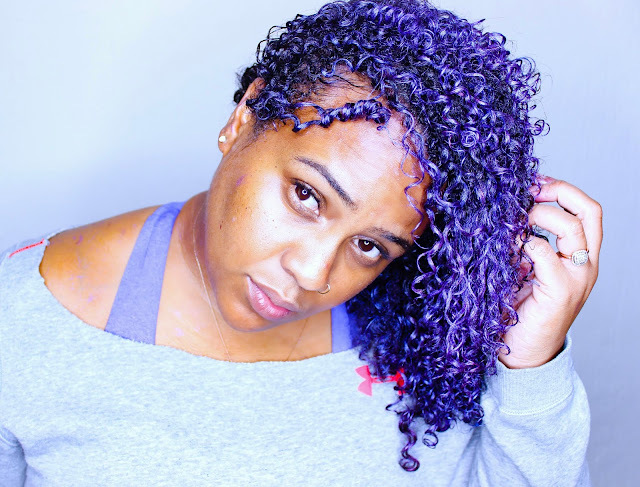 If you want bright colored hair for real for real, Pop! Curl Color is a great place to start with finding what colors you like most. Never going back to permanent color again! To get the most bang for your buck, I highly recommend using another styler and following up with Pop! Curl Color once your hair is about 80% dry. With the method I used in the video above, I got tons of color while using only a small amount of product. Although Lianne did send me these colors to try, I would 100% purchase them again. I'm keeping my eyes peeled for Black Friday deals, because the Pop! Curl Color gels are so fun to use and work SO well for natural hair! If you checked out the video above, then you probably saw me seal my color with a few drops of an unlabeled product. Lianne is currently developing a Color-Locking serum to help extend the longevity of the temporary color. Since I don't have all the details (labels, price point, launch date, etc. ), I'm going to keep this section fairly short and sweet with the 411. Green Tea Oil: Beneficial natural antioxidant that is a proven DHT blocker (one of the main causes of hair loss), antibiotic, and stimulates blood circulation to hair follicles, all which promote hair growth. Carrot Oil: Beta carotene-rich oil that promotes healthy hair growth and hair elasticity. Vitamin E: Antioxidant good for hair growth, moisturizing, fighting damage and nourishing hair. Safflower Oil: Oil naturally rich in Vitamin E, which delivers antioxidant and regenerative properties to the hair and scalp. Also has been known to improve blood circulation and stimulate hair growth. Diheptyl Succinate: A lightweight, emollient texture enhancer frequently used as a replacement for silicones. Literally, everything. It's lightweight, smooth, and a little bit goes a long way. And thanks to the amazing, nourishing ingredients, I was able to also use the Color-Locking Serum on my scalp without any drama (or extra oily-ness)! The Pop! Curl Color-Locking Serum is perfect for sealing in moisture, adding shine, improving longevity of the Pop! 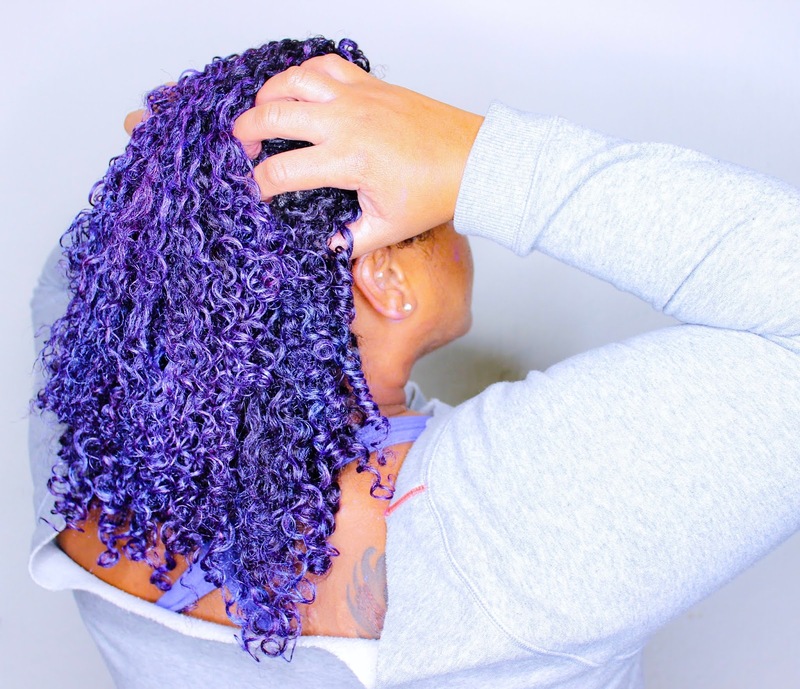 Curl Color gels, scalp massages, and more! Did you see the color retention from day 1 to day 2? That's including wearing my hair down all day at work, hitting the gym, and sleeping in a bonnet! After a day at work. After working out. Literally 2 days later and still poppin'! Pop! Curl Color Gel + Pop! Curl Color-Locking Serum = a winning combination in my book! There's nothing not to love! Amazing ingredients, great formula - we just need launch details! If you've been looking for a high-shine alternative to silicones, I'm 100% sure that you're going to LOVE the Pop! Curl Color-Locking Serum. Will you be giving Pop! Curl Color a try? 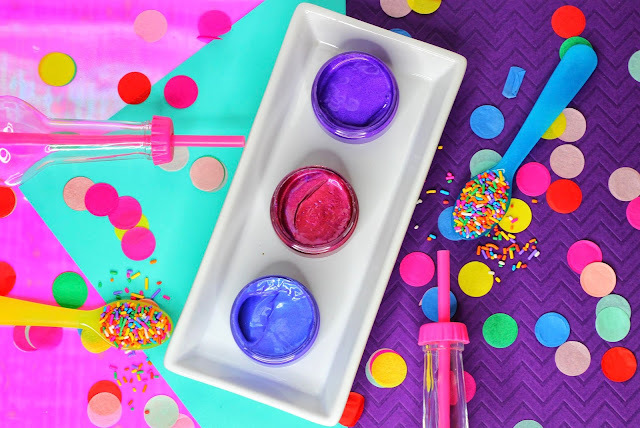 Let's chat about fun colors in the comments below! Thank you for sharing the information. Much appreciate that.